We had never lived on a farm before. I had always dreamed of living on a real farm, where the fog would cover the property early in the morning. We came to see this property located in Crescent City, Florida, because the sales person insisted, and she was so nice we couldn�t refuse. 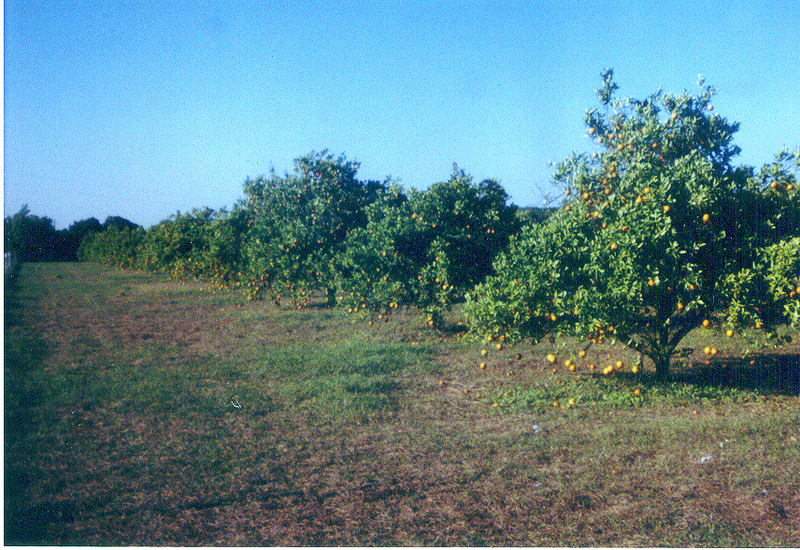 This property was already a citrus grove in production with over three hundred orange trees, plus other fruit trees such as tangerines, grapefruit, kumquats, apples, figs, etc. As soon as we entered the property a delicate scent in the air from the citrus blossoms charmed us. It was love at first sight. After our first night we awoke to a surprise - early in the morning, fog covered the whole property. That first morning we walked the whole property enjoying the fresh air, hearing the singing of the birds, and viewing the citrus trees with the white flowers. The weeds were taking over the grove, so we started to look for a natural and economic way to keep the weeds low, and pests under control. After a lot of research we decided to buy guineas hen and Muscovy ducks for pest control, and geese to keep the weeds low. The weeds won the battle but not the war, so we decided to buy some sheep to help our geese to control the weeds. After one year we have not required the use of a lawn mower or a chemical fertilizer for the soil thanks to our lovely animals who do the job for us in a natural and entertaining way. 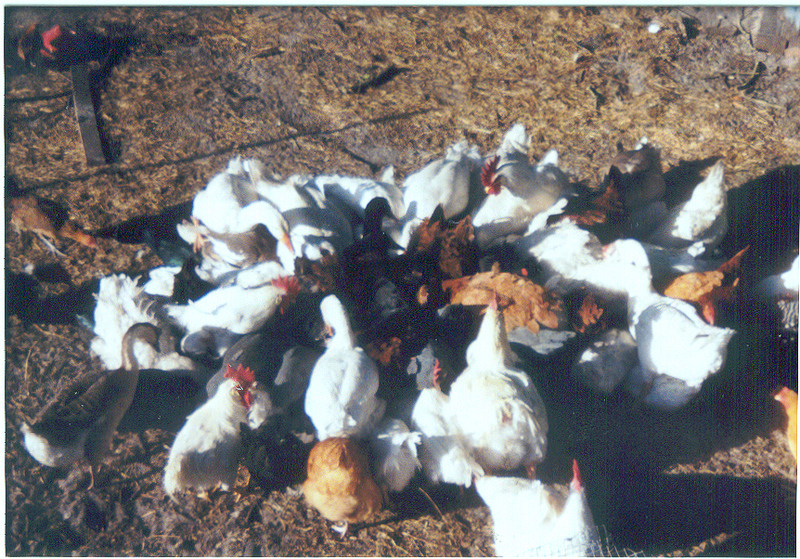 We raise chickens, guineas hen, ducks, geese, pigs, rabbits, sheep, and goats, cattle, etc. without the use hormones or antibiotics in a land that has been free of chemical fertilizer and pesticides for more than four years. Our animals feed is supplemented with the surplus of fruits and veggies that we produce. Basically our animals are vegetarians and our production is organic. As you search through our website, you will find information on each of the citrus varieties, our U-Pick operation, and livestock that we raise. We invite you to make an appointment to visit us. We also appreciate hearing from you. Whether you like the job we're doing or not, or if you see ways you believe we could improve, please send us your comments. We speak English, and Spanish. Hablamos Ingl�s y Espa�ol. This page was created on 04/19/2004 by Jorge Perez, and Andres Perez. Last modified on Sunday, 28-Dec-2008 19:12:10 EST. © Copyright 2004 by Crescent Farm. All rights reserved.